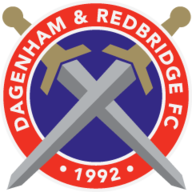 Highlights of Dagenham and Redbridge against Cambridge in the Sky Bet League 2. A double from second-half substitute Robbie Simpson helped Cambridge United to a 3-0 win at Dagenham & Redbridge. It was the first game in charge for Daggers caretaker managers Warren Hackett and Darren Currie following the sacking of manager Wayne Burnett on Monday. The hosts had a great chance to take the lead in the 27th minute but Jamie Cureton fired wide after the ball broke to him in the box. Cambridge defender Greg Taylor was stretchered off with what appeared to be a leg injury in the 36th minute. 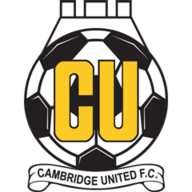 It was Cambridge who took the lead when Simpson headed home in the 51st minute - less than 60 seconds after coming on as a substitute. In the 65th minute, Simpson had his second after curling a low free-kick into the the bottom left corner. And in the 76th minute, Barry Corr made sure the visitors would take all three points as he headed home at the back post to keep the Daggers bottom of the Football League.